Zenful Expressions | CVS Coupon Shopping Trip 10/12/14 – FREE CANDY! 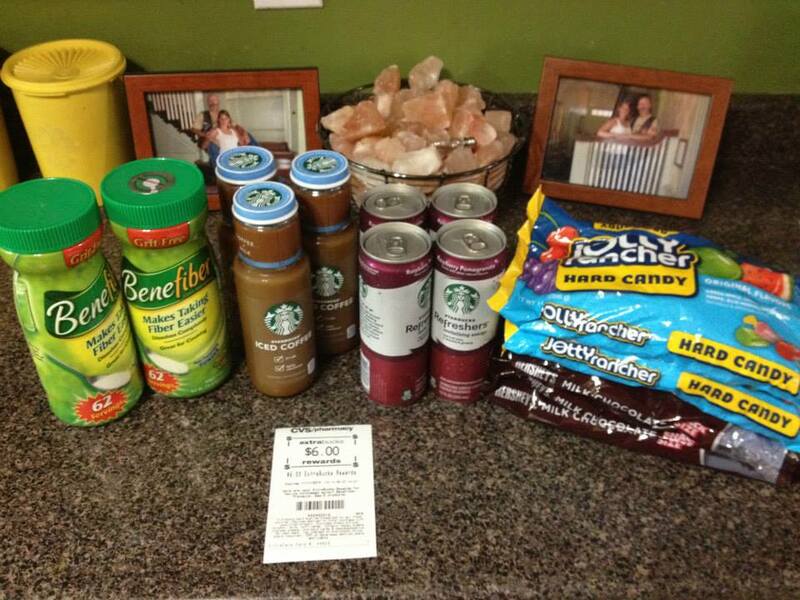 AWESOME deals this week on candy, Starbucks drinks, and the very expensive, Benefiber. In order to make my coupons matchups, I always visit Southern Savers, where Jenny always provides a breakdown of deals that CVS has each week. If you do not have the CVS circular in a hardcopy, you can use this CVS ad Preview for Sunday, October 12th’s sales flyer to plan your shopping trips. Saved: 81% and have $6 in ECB’s to start next weeks trip.